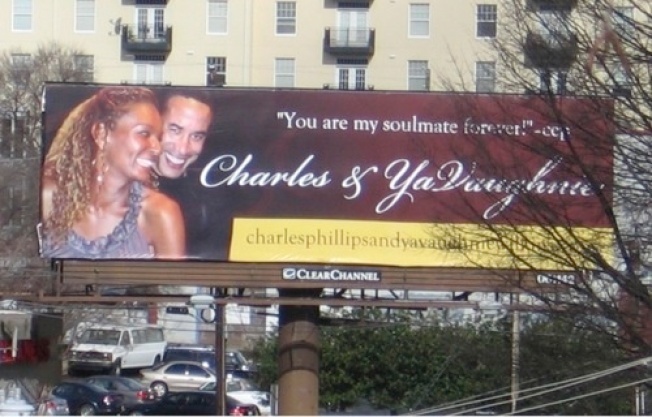 According to billboards, YaVaughnie Wilkins was the "soulmate" of Oracle co-president Charles Phillips -- but Phillips now says the relationship is over. Oracle co-president Charles E. Phillips is a handsome dude. According to a recent magazine profile, he has a lovely wife, Karen Phillips, and son Chas. So why is he popping up on billboards across the country with his arms around another lovely lady, YaVaughnie Wilkins? “I had an 8½ year serious relationship with YaVaughnie Wilkins," the statement said. "My divorce proceedings began in 2008. The relationship with Ms. Wilkins has since ended and we both wish each other well." Oracle co-president Charles Phillips is coming clean about an affair that lasted more than eight years and ended with a billboard bang on signs splashed from coast to coast. The billboards, reportedly placed in New York, Atlanta and San Francisco, point people to a website that catalogs in meticulous photographic and video detail a long romance between Phillips and Wilkins dating back to at least 2001. As of Friday morning, the web site was receiving a "service unavailable" error -- it's unclear if it has been taken down or was overwhelmed by traffic. It couldn't come at a worse time for Phillips, a top dealmaker at the Redwood Shores, Calif.-based software company. The company is in the midst of getting a multibillion-dollar deal to buy Sun Microsystems through regulatory approvals. 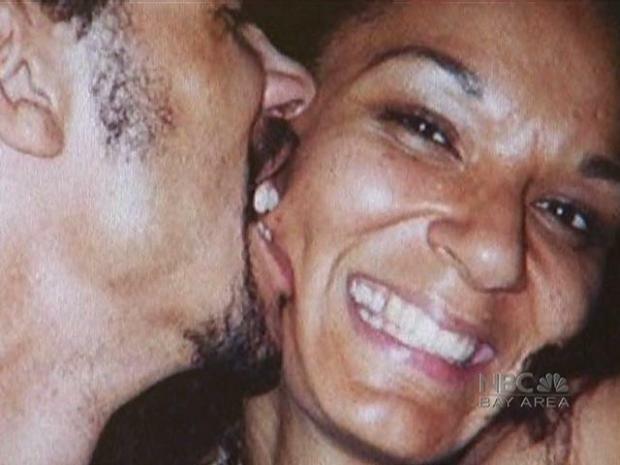 While Phillips says he and Karen began divorce proceedings in 2008, evidence suggests that the couple may be in the process of reconciling. According to Valleywag, a Silicon Valley gossip blog, Phillips recently appeared at an award ceremony in New York with Karen and effusively thanked his wife in his acceptance speech. And the two were photographed together at a gala held by the American Museum of Natural History in New York on Nov. 19, 2009. Béla Kovács, the San Jose-based designer of the Phillips-Wilkins website, told Valleywag it was commissioned as a gift to Phillips by Wilkins. Since Phillips works for Oracle CEO Larry Ellison, one of Silicon Valley's most notorious playboys before his marriage to romance novelist Melanie Craft, it's hard to imagine Phillips's romantic intrigue having any impact on his job. The scandalous billboards and long affair could have political implications, though. That's because Phillips was appointed to the Economic Recovery Advisory Board by President Barack Obama. Lord knows while there's plenty of hanky-panky in D.C., but it's generally not well-received by a nation at large full of heteronormative prudes and their fiercely monogamous mindset. At the very least this is the sexiest, most dramatic story to come out of the database business since, well, ever. Jackson West wonders if Oracle should have bought LiveJournal, since they clearly know from drama.